(a) Apply a light coat of engine oil to 2 new oil pump gaskets and new oil hole cover gasket. (b) Install the 2 new oil pump gaskets and new oil hole cover gasket to the stiffening crankcase. 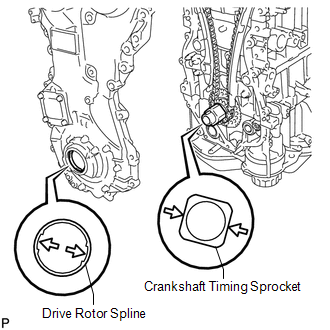 (c) Align the drive rotor spline and the crankshaft timing sprocket as shown in the illustration. 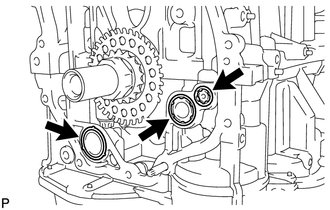 (d) Apply seal packing in a line to the timing chain cover sub-assembly as shown in the following illustration. 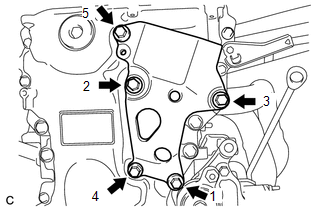 Toyota Genuine Seal Packing Black, Three Bond 1207B or equivalent. When the contact surfaces are wet, clean the surfaces with non-residue solvent before applying seal packing. Install the timing chain cover sub-assembly within 3 minutes and tighten the bolts within 10 minutes after applying seal packing. After applying seal packing to the timing chain cover sub-assembly, install the engine mounting bracket RH within 10 minutes. Do not start the engine for at least 4 hours after the installation. 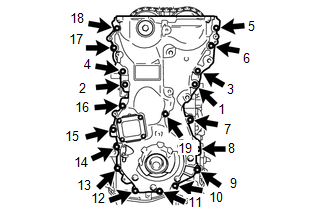 (e) Temporarily install the timing chain cover sub-assembly with the 17 bolts and 2 nuts. Make sure there is no oil on the bolts. If there is oil on the bolts, clean them before installing them. 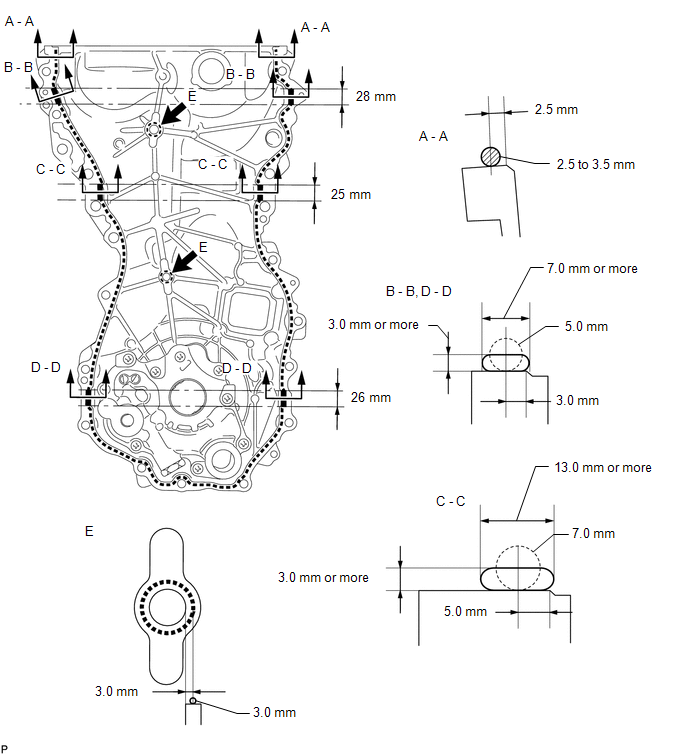 (f) Tighten the 17 bolts and 2 nuts in several steps, in the sequence shown in the illustration. 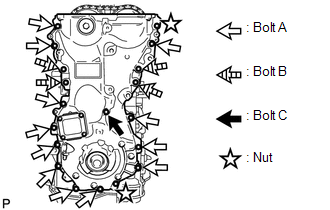 (a) Install the engine mounting bracket RH, and install the 5 bolts in the order shown in the illustration.